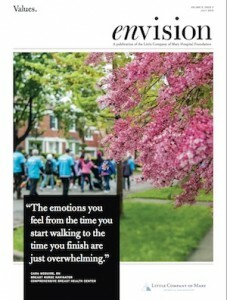 A Chicago design firm, Design360, asked me to help produce the content for this donor publication. I wrote the planned giving article, which tells the stories of donors who have included the hospital’s foundation in their estate plans, as well as the article about the Beverly Breast Cancer Walk and accompanying sidebar. See the PDF.